WalkWest is an annual fundraising event organised by Western Health Foundation in support of Western Health. 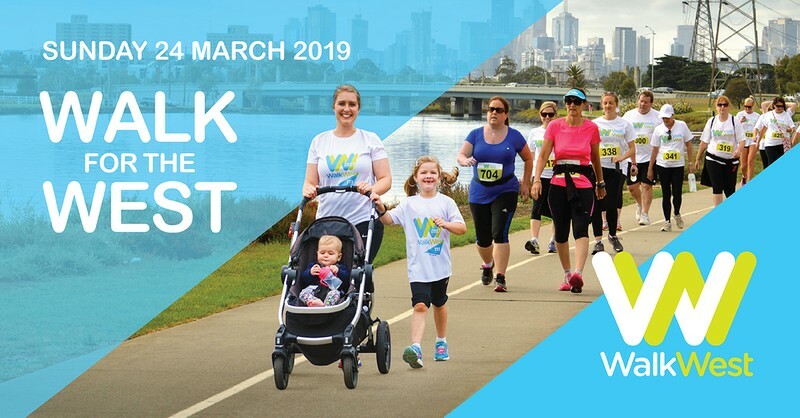 Participants can walk or run 2km, 5km or 10km alongside the picturesque Maribyrnong River while raising funds in support of 'best care' for the people of Melbourne's west. The WalkWest Village is alive with an array of fun family-friendly activities including live entertainment, kids activities and food and beverages. Proceeds from WalkWest 2019 are in support of the new Joan Kirner Women's and Children's Hospital set to open in mid-May 2019. For more details visit WalkWest website. Children 5 and under enter free.